Explanation: Why are some older stars surrounded by dust? Observations from the Spitzer Space Telescope by a team led by George Rieke (U. Arizona) were expected to show that young stars, on the order of one million years old, have large dust disks, while relatively older stars, between 10 and 100 million years old, have none. The conventional wisdom was that the dust disks surrounding young stars were still forming planets, while in older systems these disks had dissipated after planets had already formed. Unexpectedly, they found some older stars with the infrared glow of impressive rings or disks of dust. 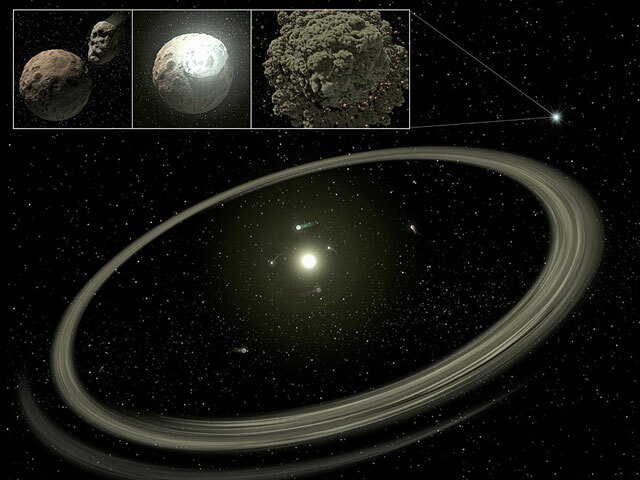 A possible explanation is that the old disks are remnant debris from violent collisions between many forming planets of rock. 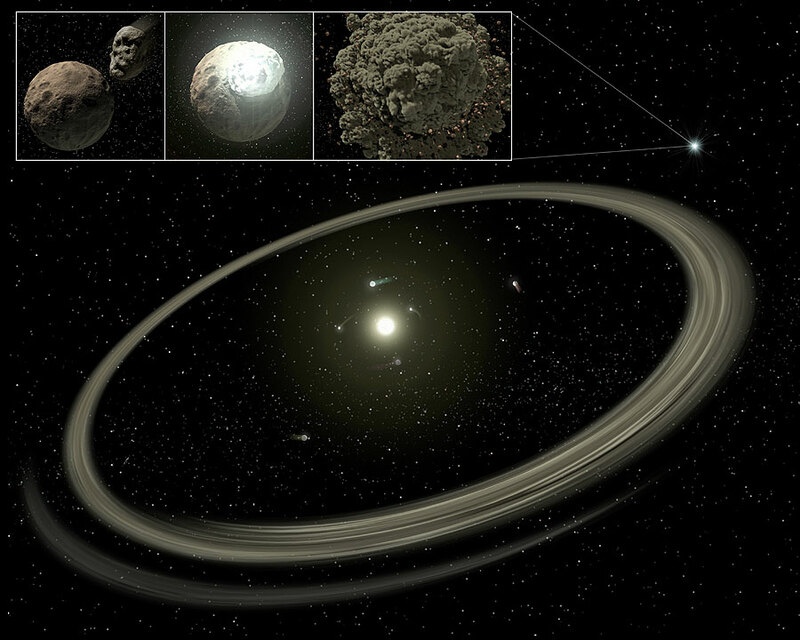 Resultant dust rings from such a scenario are depicted by an artist's illustration above.